Aramide A. Tinubu: 'A Wrinkle in Time' isn't a film for critics. It's Ava DuVernay's love letter to black girls. Aramide A. Tinubu 'A Wrinkle in Time' isn't a film for critics. It's Ava DuVernay's love letter to black girls. It was never going to be an easy task for acclaimed filmmaker Ava DuVernay to bring “A Wrinkle in Time” to the big screen; with 26 rejections, author Madeleine L’Engle had a tumultuous journey to get her story published at all. 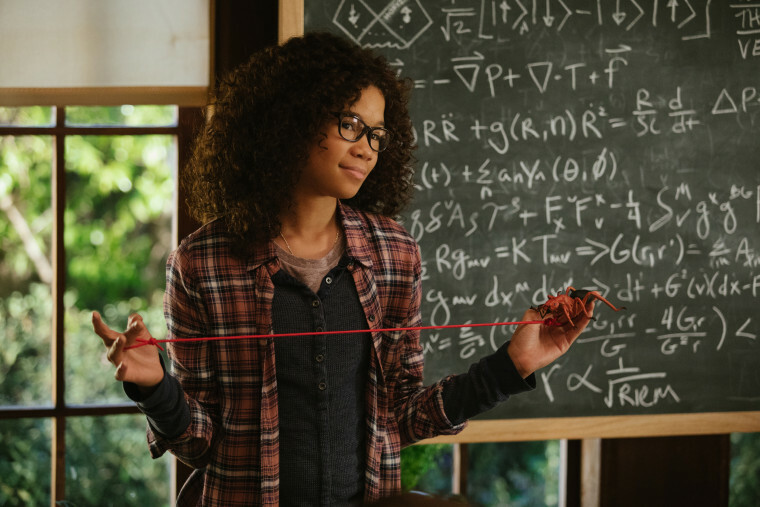 The acclaimed children’s book tells the story of teenager Meg Murry (portrayed now by Storm Reid) as she grapples with the pitfalls of adolescence while coming to terms with the disappearance of her physicist father, Dr. Alex Murry (portrayed by Chris Pine). Though L’Engle‘s story seems straightforward on the surface, Meg’s journey to find her father is full of intrigue, theoretical physics, science fiction and an earnest nod toward love and light. All of these components made it difficult for publishers in the late 1950s and early 1960s to take a chance on “A Wrinkle in Time,” and extremely complicated for anyone to adapt the story to the screen. The first film adaptation hit the small screen in 2003, and L’Engle reportedly hated it. And yet, DuVernay’s “Wrinkle” was never supposed to be a film for critics. In fact, in a quick message that plays just before the feature, the “13th" director speaks intently to her audience, calling “A Wrinkle In Time” her love letter to young people. While critics and audiences alike have been quick to juxtapose the film against Ryan Coogler’s thunderous “Black Panther,” DuVernay has been clear all along that “Wrinkle” isn't intended for a broad audience. And, when we consider the cast as well as screenwriters Jeff Stockwell and Jennifer Lee’s feminist angle on L’Engle’s story, the film’s message becomes quite clear. Representation, as it was for Coogler’s “Black Panther,” was essential for DuVernay and for the audience to whom she is speaking. We don't often see young black girls in starring roles in mainstream films: “Crooklyn,” “Eve's Bayou,” and 2014’s “Annie” are some of the few films with such stars that have debuted in the past two decades. Therefore, casting Reid as the whip-smart, precocious, and defiant teen protagonist who doesn’t let her lack of popularity shutter her spirit is a miracle in itself. Meg stands at the center of the film in all of her ballsy, stubborn and curly-headed glory. “A Wrinkle In Time” may not speak to the critics, but it certainly addresses the uncertainty of girlhood. That’s something almost never seen in the entertainment industry: According to Women in Hollywood, in 2016, just 14 percent of all female characters in the top 100 films of the year were black — and 2016 gave us “Moonlight,” “Fences” and “Hidden Figures,” making it, for all intents and purposes, a watershed year for Black women in film. But DuVernay's singular vision didn’t end with Reid: Feminism and multiculturalism aren't ploys in “A Wrinkle In Time,” they are intricate parts of the film's fabric. The massive cast includes Mindy Kaling, Reese Witherspoon, Gugu Mbatha-Raw, “Moonlight's” André Holland, Michael Peña and Oprah Winfrey among others. And while the reviews may not be sublime, examining a movie for tone, structure, editing, acting, and everything else that goes into filmmaking is a job that separates critics from typical movie audiences. Quite frankly, film criticism has not always aligned with what viewers desire from films — especially when it comes to the images that children yearn for. When Steven Spielberg's beloved 1982 film “ET: the Extra-Terrestrial” premiered, for instance, The Village Voice’s Don McKellar referred to the alien as an “autistic genius type” that was "completely inept at basic social skills.” Even the late Roger Ebert couldn't always give himself over the whimsical tales of childhood. When “Home Alone” debuted in 1990 — as the biggest film of the year — Ebert couldn’t get over how “implausible” the film's plot was. Neither of these criticisms halted the success of these films at the box office, and both movies have withstood the test of time, becoming cinema classics for generations of children. “A Wrinkle In Time” may not speak to the critics, but it certainly addresses the uncertainty of girlhood. Meg hits the nail on the head when she bluntly declares, “Most days I hate myself," effectively encompassing the things many of us felt during our middle school years. Imperfect, and yet willing to stand up for what she believes in, Meg is a hero worth getting behind. DuVernay makes her someone in whom young people — especially young girls of color — can see themselves. It is an acknowledgment of our humanity. In the end, it doesn’t really matter if “A Wrinkle In Time” is a full-on box office success. By positioning a brilliant black girl at the center of a stunning adventure where she must learn to trust herself and her abilities, DuVernay has immortalized #BlackGirlMagic and shined a spotlight on those who've often been shoved in the corners of Hollywood. And that, more than some lukewarm reviews, is what makes “Wrinkle” a film that will help define a generation. 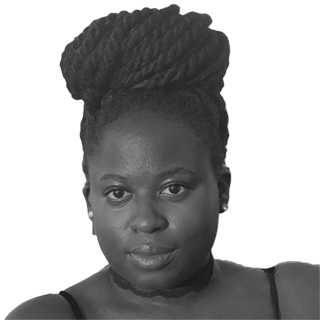 Aramide A. Tinubu is a film critic and entertainment writer who has been published in EBONY, JET, ESSENCE, Bustle, The Daily Mail, IndieWire and Blavity, and writes at her blog, Chocolate Girl in the City.